Antibiotic stewardship is the effort to improve antibiotic prescribing so that antibiotics are used correctly - and only when needed. It includes monitoring antibiotic prescribing; avoiding unnecessary use; minimizing underuse due to missed or delayed diagnoses; and, when an antibiotic is needed, ensuring selection of the appropriate drug, dose, route of administration, and duration of therapy. The goal of antibiotic stewardship is to treat infections effectively, while minimizing unintended consequences of antibiotic use. These include side effects (eg, antibioticassociated diarrhea, especially that caused by Clostridium difficile infection) and the emergence of antibiotic resistance. Despite the growing problem of antibiotic resistance, FDA approval of new antibiotics declined by about 80% between 1983 and 2012, providing fewer new treatments for drug-resistant bacterial infections. The emergence of antibiotic resistance cannot be stopped; however, the pace at which it evolves can be slowed. Antibiotic overuse and inappropriate use are important modifiable behaviors that contribute to resistance. In the US, the majority of antibiotic use occurs in the community, and a substantial percentage of these prescriptions are inappropriate. An estimated 30% of outpatient antibiotic prescriptions in the US are unnecessary. 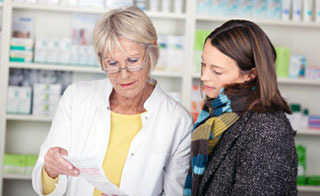 This accredited program is targeted to pharmacy technicians. Describe how antibiotic resistance occurs and its relationship with overuse and misuse of antibiotics. List potential patient harms that can occur with antibiotic use; explain the relationship of Clostridium difficile infection and antibiotic use. Review the antibiotics that are indicated for the treatment of common outpatient respiratory infections. Define antibiotic stewardship. Provide examples of actions community providers and facilities can take to help improve antibiotic use. Disclosure : Dr. Chris Stock report no financial or personal relationship with any commercial interest producing, marketing, reselling, or distributing a product or service that appears in this issue. Brief Bio : Pamela Mausner, MD; Medical Writer/Editor and Healthcare Advocate; and Associate Editor, The Rx Consultant. Disclosure : Dr.Mausner reports no financial relationship with the manufacturer(s) or provider(s) of any commercial product(s) or service(s) that appear in this issue. Brief Bio : Tracy Farnen, PharmD; Managing Editor, The Rx Consultant. Disclosure : Dr. Farnen reports no financial relationship with the manufacturer(s) or provider(s) of any commercial product(s) or service(s) that appear in this issue.